Self-Adhesive eco-friendly PVC-free wallpaper that sticks using water spray on its back and on the wall. 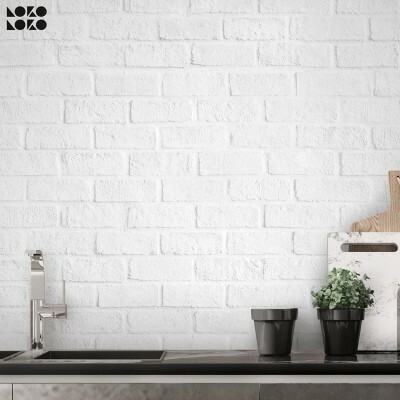 Imitation design of bricks placed irregularly, with wear spots in gray, creating an industrial style mural. Perfect design for industrial or Nordic styles.